To book places, please use the form below. Join Rabbi Rose's weekday journey through the Mishneh Torah of the Rambam. Shiurim are held on Shabbat afternoons after Mincha. Visit our Shabbat Coffee Bar and hear one of our TEN talks. Rabbi Rose presents a weekly textual, in-depth analysis on the weekly parsha. Join Rabbi Schochet for a weekly Mishnah shiur. Join us for a Pesach picnic in the local park. Register for our tea to celebrate the 70th anniversary of the shul. We were thrilled to celebrate our Rabbi and Rebbetzin being with us for 25 years! The fantastic ways in which our community will embrace the amazing ShabbatUK project in 2019. Find out what we'll be discussing at the next meeting of our thriving book club. Everyone is welcome! Don't miss our first ever football tournament. Sign up now! Join us for a ceremony to remember Israeli fallen soldiers & victims of terrorism. Read the leaflet that was given out this year to honour our Neshei Chayil. We would welcome anyone who is interested in helping out with the children's services kiddushim. Can you help our new Rainbows and Brownies Units? Join us for our very popular challah baking sessions. Can you help with the WIZO scheme that raises much needed funds for families? Mill Hill Youth presents another fun night for girls - sign up now! 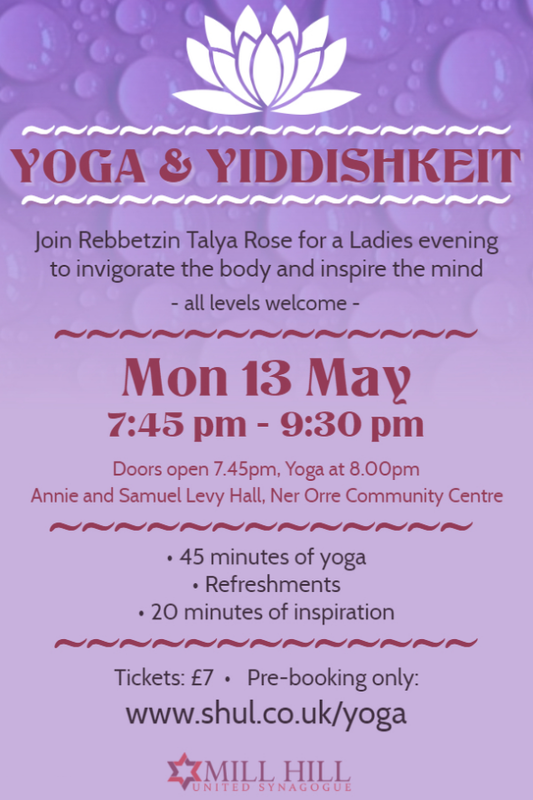 Once again, we are running our popular course for girls approaching their Bat Mitzvah. Sign up now!